The monarchic form of government that Syria uses relies on violence by police and military forces on protesters and innocent civilians to suppress demonstrations. Opposition militias began to from in 2011, and by 2012 the conflict had expanded into a full-fledged Civil War. Today, many Syrians fear being attacked by government forces and are forced to leave their homes. Since Syria is a heavily Islamic populated country, the remaining 8% of Christians in Syria also fear ISIS, which is a terrorist group. 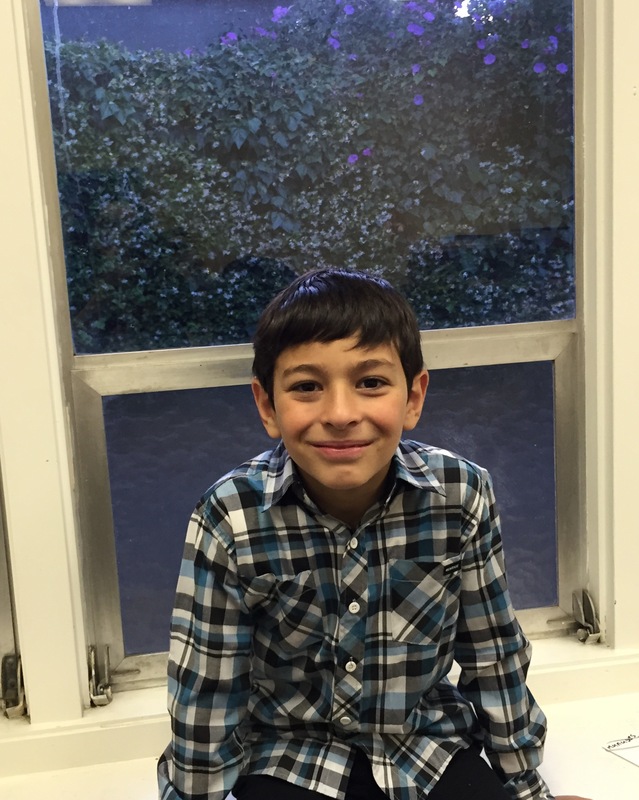 Like Steven, an eight-year-old boy who feared possible death in Syria, many other Syrians have escaped the war by migrating to other countries for liberty, life, and prosperity. Throughout the last few years of conflict, Steven and his family moved in and out of Syria multiple times. Steven’s family would stay in Syria when the Civil War conditions were calm, but when the war conditions were critical, his family would temporarily move to Lebanon. Finally, on August 13, 2014, Steven and his family decided to follow in the footsteps of his grandparents and move to the United States to live with them. Steven and his family landed on August 15, 2014, which was Steven’s birthday. During his first week in America, Steven began to feel homesick and felt like his culture was taken away from him. The sudden shift in culture, traumatic experiences, and his experiences as a refugee from the Syrian Civil War have made Steven experience trauma, which has disrupted his adaptation in America because he feels like he does not belong. Being forced to a new country has been scary for Steven because he has not adapted to the American culture; therefore, Steven has felt isolated, forced, and discouraged, but despite his struggles, he has grown into a strong boy from his experiences. After the Syrian war, Steven and his family moved to America. Immigration was an obstacle that made Steven dislike the United Stated because he lost his friends, his home, and family members due to the Syrian war. Steven was forced to live in America. Steven felt fortunate he had escaped the tragedy of the war, but felt remorseful at the same time, as he states: “I felt really sad for the people in Syria. They killed half of Syria. It is all gone and half of Syria is dead.” The term “they” refers to the Syrian regime. The term “half of Syria” refers to the innocent Syrians that were killed by their own radical people. Steven holds a grudge against the extremists in Syria that killed the innocent half of his country. Steven and his family fled to America for protection and in the process lost their home, as Steven states: “I used to have more friends in Syria, more cousins; my house was bigger; I had two pools, four bathrooms, and two kitchens, and four bedrooms.” Currently, Steven lives in a small apartment and his family is barely making it. Their picture of the American Dream was not what they had hoped. In reality, they have been suffering in a country they did not want to be in and moved regretfully to America because they were trying to protect their lives from the Syrian government. In addition, the war in Syria affected Steven emotionally because his feelings shift from feeling happy living in his homeland, to feeling threatened living in his homeland, to being scared and forcefully leaving his homeland in order to survive, thus causing confusion for the child. I asked Steven to describe three words on how he felt when he lived in Syria and Steven responded, “Happy, fun, and joy.” Then, I asked him to describe in three words of how he felt during the war and Steven responded, “Scared, sad, and worried.” Next, I asked him how he felt when his parents told him that they were moving to America and he would be living with his grandparents, and Steven replied, “Sad, excited, and scared.” Steven’s eighth birthday was a day he will never forget because it was the day he landed in America, and the moment he landed is when he felt estranged, confused, and shocked. The day before Steven’s eighth birthday, he left his home and traveled halfway across the world to escape from the destruction of the civil war in Syria. Upon his arrival, he met his grandma and grandpa at the airport, as he states: “I did not see them from when I was six. I ran to my grandma and grandpa and hugged them.” Steven was thrilled to reunite with his grandparents again, since he had not seen them in two years. The reunion between Steven’s grandparents and him brought joy and a sense of security because he felt like he had a part of his home back, which was his family. Although Steven was separated and reunited with his family again, the split and reconnection confused him and disrupted his normal childhood, thus causing severe trauma for him because Steven’s emotions changed simultaneously from being happy living in Syria, to feeling threatened living in Syria, to feeling sad after being forced to leave Syria. Furthermore, as a refugee, even though Steven escaped the dangers of Syria and entered America, which was considered a safe land, instead of feeling a sense of belonging in the American culture, he has felt like a foreigner. After the death of his uncle, which occurred in America, Steven was furthermore traumatized and was confused about which country was a better place to live in. Steven faced Post-Traumatic Stress Disorder (PTSD), as Boris Drožđek, a researcher in psychology, connects: “They originate from the fields of systems theory, migrant mental health, and posttraumatic stress theory” (4). Frequent migration and traumatic experiences during one’s moving process can cause PTSD and effect one’s mental health. PTSD originated from the stress Steven faced in Syria, for he woke up every morning thanking God for being alive because he feared for his life. He developed migration PTSD because he was told that America would protect him and his family’s lives, but when his uncle came to America, he died in a car accident after landing from the airport. Steven felt betrayed by the country he supposedly trusted, thus causing confusing and psychological trauma for him. Consequently, due to the extreme stress Steven faced in a short amount of time, he continues to remember bad memories, which in addition, makes him lose hope in the land that is supposed to protect the lives of refugees. Steven is facing cultural shock as Irina-Ana Drobot, a psychologist, illustrates: “He projects his fears on the surroundings. The description of nature is subjective, and it is the result of Rochester’s feelings of anxiety and of feeling overwhelmed by the foreign culture he finds himself in” (2). When one enters a country and experiences cultural differences in his/her surroundings, one starts to feel overwhelmed by the foreign culture and has a hard time adapting to his or her new environment, thus causing confusion and stress. This also makes Steven not want to live in America because he was forced to live here and has experienced the death of a family member. He also had a hard time adapting to a different culture because he does not have many family members in America to express his Syrian culture with; therefore, Steven feels restricted to the predominant American culture and does not like it. Family is what makes him feel like he belongs at home and since one family member was removed out of his life for good, he gave up on the hope that America once promised him, which was life over death. Moreover, Steven faces cultural Post Traumatic Stress Disorder (Cultural PTSD) due to cultural shock, experiencing the death of his uncle in America, and being a refugee, which disrupted his adaptation in America because he was overwhelmed by all traumatic experiences. Although being a refugee secured Steven’s life, it has also made him feel like an outsider and feel homesick, which has furthermore disrupted in his mental health because he went from feeling happy in Syria, to feeling threatened in Syria, to being sad when he forcefully left Syria from the unsafe government. Shifting cultures demandingly made it harder for him to have a sense of belonging and he had a hard time adapting to his new environment as Leah James, a psychologist and researcher in psychological treatments, states: “Children most commonly express frustration and anxiety associated with safety concerns or the whereabouts and well-being of missing family members” (2). When a children leave their home due to safety reasons, most project their fear and anger out onto the new place they are forced to stay in because they feel like they will never like their new home since they are forced to stay in it. Since Steven was forced to leave his home, friends, and family members, he has put all his anger on the country he was forced to stay in, though it has helped secure his life. He is eager to return back to his hometown as Steven shows: “I would ask my mom everyday saying mom when are we going back to Syria? Mom when are we going back to Syria?” He misses his old environment because that is where he belonged. Steven’s identity stayed back in Syria and since he was forced to escape to America, he left his old identity behind and struggls to find his new one because he is facing culture shock. Steven’s psychological trauma derives from being a refugee, experiencing the death of a loved one, and having a hard time adapting to the new American culture because he valued his Syrian culture excessively, and that was taken away from him. In addition, Steven’s traumatic experiences of losing his loved ones, being a war refugee, and having a hard time adapting to the American culture dampened his hope for fitting into the American culture. Since Steven lost the majority of his family and friends, he relied on God as the last resort for comfort because he knows God will never leave him throughout his struggles. What kept Steven from missing his uncle, family, friends, and home in Syria was his faith, as Steven claims: “I thank God every day that I did not die in Syria and I ask God to help me make new friends and family so I can be happy again.” Steven’s faith helps him get through the tragic experiences of losing his family, friends, and home in Syria. He had to accept the fact that God had a different plan for him and it was by fate and for safety reasons that he had to move to America and leave his old life in Syria behind. Though he accepts everything as fate, he never forgot about his cultural values. He learned to embrace his Syrian culture and only grasp on to the positive culture values from America. Steven’s family is very involved in church because they want Steven to be raised well and not pick up bad habits from the American culture, which also disrupts his adaptation in the American culture because he is forced to follow certain rules. His parents shelter him and protect him with the help of his new spiritual family. His spiritual family constantly lifts him up, welcomes him, and helps him get through his traumatic experiences because it severely affected his emotional health. Similarly, while Steven is suffering from traumatic experiences and is having a hard time adapting to the American culture because his emotions are fluctuating between being happy, sad, and frustrated all at once, he is currently recovering with the help of loved ones. In order for Steven to adapt living in America and heal from the mental scarring he faced, he needs the support of friends and family. He finds comfort by trusting the people he loves the most and since he is only eight years old, he needs nurturing love in order to move on in life. For Steven to feel safe and secure, he needs the emotional support from his immediate family and his spiritual family. I asked Steven if he would miss the members of his church if he left back to Syria. He replied, “Yes, of course!” According to his response, if he left to return to Syria, he would be even more traumatized because he would be leaving more of his loved ones in America and gaining back the family members he lost in the past in Syria, which would cause more confusion for the child. Then, I asked Steven if he would dislike America even more if he did not have his grandma and grandpa with him and he replied, “Yeah.” Conferring to Steven’s response, family is what has helped him adjust to life in America after having his adaptation disrupted due to living among his family members in Syria, to forcefully leaving his family members in Syria, to meeting new friends in America and ending up loving his new spiritual family members in America. Steven will most likely will never be able to adapt fully to America because he will always treasure the land that was forcefully taken away from him. He is not the type of boy that hides his identity; instead, he embraces and claims his identity as Syrian. Although his life was threatened in Syria, he still holds on to his Syrian identity. When Steven entered America, where his life is not threatened, again, he still holds on to his Syrian identity. He is very proud of his culture, but has a hard time embracing it in the United States because he does not have most of his family members to share it with. Steven cannot integrate his culture well with the American culture because there are too many differences. Steven also does not want to be so-called “Americanized” because he feels that some aspects of the American culture tend to be disrespectful, since respect is an important factor of the Syrian culture. I asked Steven, “What do you not like about the American culture?” Steven immediately replied, “I don’t like how the teenagers grow up to be. They think they can do whatever they want and then they get in so much trouble with their parents. If they do that they don’t respect their parents.” Steven bases his cultural value on the idea of respecting his parents. Syrian children honor their parents and grandparents so much that they would risk their own lives just to save them. Steven expresses his culture by showing respect to his parents. He wants to hold on to his Syrian culture because he does not want to grow up to be a typical American teenager and disrespect his parents, which is equivalent to disrespecting his culture. Steven’s mental health transformed negatively and his adaptation was disturbed because his feelings have shifted from being happy living in his homeland, to feeling threatened living in his homeland, to being scared and forced leaving his homeland in order to survive, thus causing confusion for the child. Although being a war refugee saved his life, it also made him feel like he was forced to stay in a country where he felt like he did not belong due to cultural differences and to not having his cousins around him. Dangerous war conditions often force people to leave their homes for safety; when they escape for safety reasons, they often face cultural shock because they entered a country that they were forced to remain in. He had his culture taken away from him and has been forced to integrate it with a completely different culture, which also causes more bewilderment for him. Today, thousands of Syrian refugees are fleeing from Syria to other countries to protect their lives. When refugee children like Steven are forced to leave their home, it disrupts their normal healthy childhood because they are confused from the sudden change of their environment. Drožđek, Boris. “Challenges in Treatment of Posttraumatic Stress Disorder in Refugees: Towards Integration of Evidence-based Treatments with Contextual and Culture-sensitive Perspectives.” European Journal of Psychotraumatology 6 (n.d.): 1-8. ESCOB. Web. 5May 2015. Drobot, Irina-Ana. “Relationships and Culture Shock in Wide Sargasso Sea by Jean Rhys.” Scientific Journal of Humanistic Studies 6 (n.d.): 1-3.ESCOB. Web. 5 May 2015. James, Leah. “The Mental Health of Syrian Refugee Children and Adolescents.” Forced Migration Review 47 (n.d.): 42-44. ESCOB. Serena: “What games did you play? Steven: “Yeah I know.” (Looking all sad). This entry was posted in Lebanon, Syria and tagged Acceptance, American Dream, Belonging, Community, Culture, Family, Home, Identity, Language, Politics, Religion, War by steven. Bookmark the permalink.